Heinrichs Weikamp, the manufacturer of the dive computer that exploded and injured 12 people on Saturday, has issued a statement on their Facebook page. 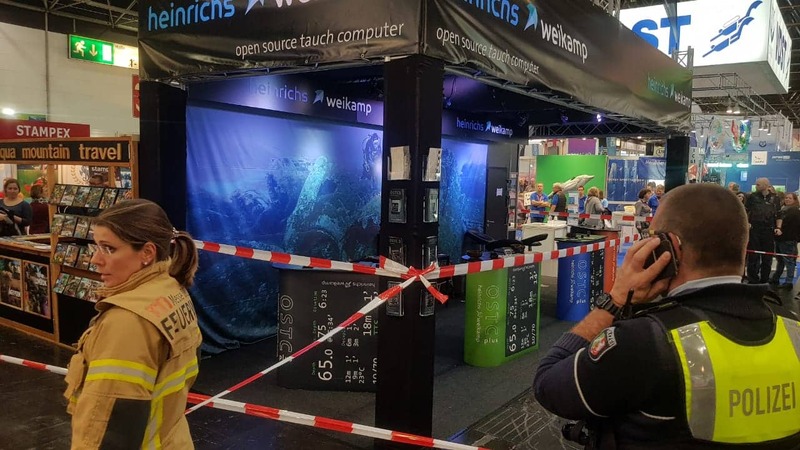 On January 26th, 2019 an explosion of the lithium battery in a Heinrichs Weikamp dive computer occurred at our booth at the fair “boot”. As a result of the explosion, the battery compartment lid was blown off. One person suffered slight cuts and burns to the forearm due to parts flying around, other persons in the vicinity suffered a bang trauma. The “OSTC plus” can be operated either with a lithium battery or with disposable batteries. The battery explosion was caused by an invalid combination of the battery used and the dive computer setting: a 3.6V non-rechargeable battery was inserted, but the dive computer was set to a rechargeable battery type. An attempt to charge for several hours in this state caused the battery to explode. – non-rechargeable 1.5-volt disposable batteries. 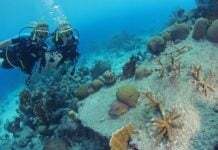 The continued use of non-rechargeable 3.6V lithium batteries in OSTC plus dive computers is strongly discouraged due to the potential risk of confusion between the type of battery used and an incorrect battery setting. A firmware update will also be provided shortly to improve user guidance when setting the battery type, with the aim of further reducing the likelihood of an inappropriate setting. 1.5 Volt disposable batteries are automatically detected by the dive computer and will not be charged even if the dive computer is set incorrectly. Dive computers of the “OSTC 2”, “cR”, “OSTC4” or “DR5” series with built-in lithium batteries are not affected by this safety warning, nor are the “OSTC Sport” (old and new series) “OSTC 3” and “frog” models as these generally have no charging function.  The company Heinrichs Weikamp is an owner-managed company based in Freiburg im Breisgau (Germany) and has been specializing in the manufacture of high-quality dive computers and underwater lights for more then 10 years. 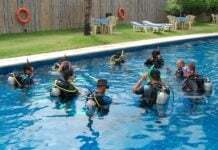 So far more than 20 thousand dive computers of different model series have been delivered. This is the first accident known to us as a result of an invalid combination of battery used and dive computer setting. We take this incident very seriously and are of course available to answer your questions. According to official reports and eyewitnesses, twelve people were seen and examined by a team of doctors directly on site. Five of them were then taken to hospital for further examination with a blast trauma and one person with cuts on his arm. We understand none of the injuries were serious and normal operations resumed at the show shortly after the incident.